Manufacturer of a wide range of products which include expanded metals sheet. We are engaged in manufacturing and exporting Expanded Metal Sheet, which is dimensionally accurate and used extensively for filtration purposes in food grain, cosmetic, pharmaceutical and chemical industries. 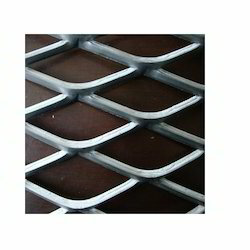 The product has earned us a huge clientele and highly regarded for being resistant towards corrosion and rusting. Further, it is made in compliance with the industry laid standards.